There are numerous factors as to why there are so many incidences of neglect and abuse occurring at nursing facilities throughout Illinois. Some of these include unqualified staff of nurses and nurses’ aides who are poorly trained in their positions. In many situations, the nursing facility puts profits ahead of the comfort, care and safety of their residents. Unfortunately, The Cicero nursing home abuse & neglect attorneys at Nursing Home Law Center LLC have witnessed an increase in the number of civil cases involving abuse throughout the Chicago metropolitan area. Medicare regularly collects information on every nursing facility in Cicero, Illinois based on data gathered through inspections, surveys and investigations. According to the federal agency, surveyors found serious violations and deficiencies at eighty (38%) of these 208 Cicero nursing facilities that led to residents receiving substandard care. If your loved one was mistreated, abused, injured or died unexpectedly from neglect while living in a nursing home in Illinois, let our attorneys protect the rights of your family. Contact the Cicero nursing home abuse & neglect lawyers at Nursing Home Law Center (800-926-7565) today to schedule a free case consultation to discuss filing a claim for compensation to recover your damages. Nearly 85,000 individuals reside in the town of Cicero, just west of Chicago. Out of that number, about 5000 or almost 6 percent are senior citizens are 65 years and older. This number has risen dramatically in the small community in recent years due to an increase in the aging population as many more individuals reach their retirement years. However, this is placed a weighty burden on nursing homes throughout the community that are often understaffed and overcrowded. Abuse and mistreatment occur in nursing facilities when friends, visitors, other residents, doctors, nurses, aides, and staff members cause serious risk or harm to the resident. In many incidences, residents who are elderly or disabled are frequently more vulnerable than other residents due to their mental or physical impairment. Often times, abusive behavior by others is an intentional act. However, the unacceptable behavior might be the result of negligence by providing the resident a serious lapse in medical care or failure to provide much-needed assistance with daily activities like bathing, grooming, toileting, dressing, walking and eating. So if the action of neglect, abuse or mistreatment is perpetuated by one or more individuals at the facility, who exactly is at fault? In every incident, the nursing home has at least partial fault for hiring the individual, allowing the individual entrance into the facility and not protecting the resident from harm. Generally, the employer has a legal obligation to create a safe environment, watch over employees and develop policies and procedures to minimize the potential of injury, harm, death or damage to the resident. Our Cicero elder abuse attorneys recognize that many signs of neglect and abuse go unnoticed, leaving unnoticeable but very painful scars. In an effort to help, our team of reputable lawyers continuously review publicly available information concerning nursing homes involved with hazardous conditions, opened investigations, filed complaints and other dangerous problems that injure, harm or kill residents. Many families utilize this information before deciding where to place a loved one in the hands of professional caregivers. The detailed list below outlines the facilities throughout the Cicero area that currently maintain a well below average rating (one star out of five potential stars) according to Medicare.gov. 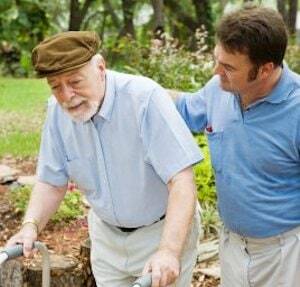 In addition, our Cook County nursing home abuse lawyers have listed their primary concerns involving substandard levels of medical care, a lack of proper assistance for residents who require help with their ADLs (activities of daily living), hazardous conditions and other factors that could potentially cause injury or death. The complaint investigation was initiated after a review of 04/26/2015 1:52 PM hospital records indicating an Alden Town Manor Rehabilitation and Health Care Center resident was admitted to the hospital where “a right lateral malleolar decubitus ulcer which was foul-smelling with mild purulent drainage, which was subsequently diagnosed as a wound infection [MRSA (Methicillin Resistant Staphylococcus Aureus)]. The state surveyor conducted in 08/06/2015 10:30 AM interview with the Director of Nursing (DON) who stated “she was not the DON at the time of the [the resident’s] admission to the hospital [on] 04/26/2015 [but] was the facility’s Restorative Nurse at that time.” The Director of Nursing stated that the Certified Nursing Assistants “should be checking the condition of the resident’s skin daily when they are dressing residents. Any new skin alterations should be reported to the nurse, will then call the Wound Nurse (if present in the facility) or the Physician/Nurse Practitioner for wound treatment orders.” Additionally, the Director of Nursing at the facility indicated that the Certified Nursing Assistants must “document any skin alterations twice weekly on the resident Shower Sheets and report any new findings to the nurse. The state surveyor conducted an interview with the facility’s Nurse Consultant concerning the resident’s records where there is “no mention of the right malleolus ulcer” in the entire medical record. Our Cicero nursing home neglect attorneys recognize that any failure to follow procedures and protocols to detect, identify and treat any developing pressure sores could cause harm to the resident’s health and well-being. The deficient practices of the nursing staff that require the resident to be transferred to the hospital for treatment of a serious pressure sore might be considered negligence or mistreatment. The facility fails to follow established protocols adopted by Alden Town Manor Rehabilitation and Healthcare Center. Is your loved one residing in a Cicero area nursing facility, assisted living home or rehabilitation center? Thousands of individuals throughout Cook County and the Chicago metropolitan area who live in nursing facilities have no advocate to ensure their health and well-being are maintained. Even family members who routinely visit find it difficult to notice a sign or symptom of neglect or abuse. Often times these indicators can be incredibly challenging to identify, especially if the injury, harm or suffering is not readily apparent. The obvious signs of physical abuse include broken bones, bruises, contusions, lacerations or scarring. Unexpected sexually transmitted diseases are also an obvious might be an indicator that your loved one is a victim of nonconsensual sexual activity. However, there are other signs of neglect including malnourishment/dehydration, soiled or missing clothing, facility-acquired bedsores and poor hygiene. Often times, the resident must survive in unsanitary living conditions or under unacceptable conditions including a lack of medical treatment or substandard treatment. Emotional abuse is often the most challenging to detect. This is especially true for residents who suffer mental impairment. However, noticeable warning signs will include unexpected fearful behaviors, unexplained mood shifts or noticeable fear anytime a specific caregiver is around. At some point, every case of abuse and neglect must be reported to local law enforcement and can be done without assistance of a legal representative. However, proceeding in a civil case to hold those financially accountable usually requires the skills of a reputable lawyer who specializes in nursing home abuse cases. Filing a civil lawsuit or claim against those responsible for causing harm allow victims and their family members to seek monetary recompense for their damages, injuries or harm. The Cicero nursing home abuse attorneys at Nursing Home Law Center LLC have provided legal representation for many nursing home residents who have suffered injury, harm or death by the unacceptable behaviors of others. Our Illinois team of dedicated reputable attorneys have years of experience handling cases involving abuse, negligence and mistreatment occurring in nursing facilities throughout the Chicago Metropolitan area and Cook County. We urge you to contact our Illinois elder abuse law office at (800) 926-7565. Schedule your appointment today to speak with one of our experienced lawyers through a no obligation, free full case review. If we accept your case, we handle all of your legal representation through a contingency fee agreement. This means all of our legal fees are paid only at the conclusion of the successful jury trial or once we negotiate your acceptable out of court settlement.